Seeing a great work of art or discovering the past can be an incredible experience – and in our beautiful town, there are so many opportunities to do just that! 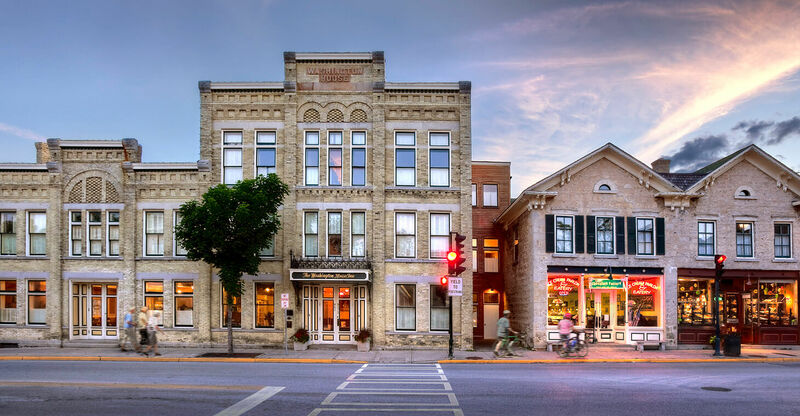 With this exclusive guide to museums in Cedarburg, WI, you can surround yourself with all of the culture and history our town has to offer. With the weather just starting to change, touring our local museums is a great way to balance your time with the temperature – get out of your room for some fresh air in the sun, or spend some time indoors when the barometer dips. Read on to see how you can plan the perfect spring getaway to Washington House Inn and discover all of the things that make our town so special. Walk across the street and step back in time; catch a glimpse of what life in Wisconsin was like long ago with a visit to the Cedarburg History Museum. In addition to their local collections and featured rotating exhibits, this quaint museum is host to the permanent Roger Christensen General Store Museum and is also a working ice cream parlor and candy shop! With free admission and just a two minute walk from the Inn, it’s a definite must! Once you have your ice cream, take a 15 minute stroll down the road to the very unique Wisconsin Museum of Quilts and Fiber Arts. 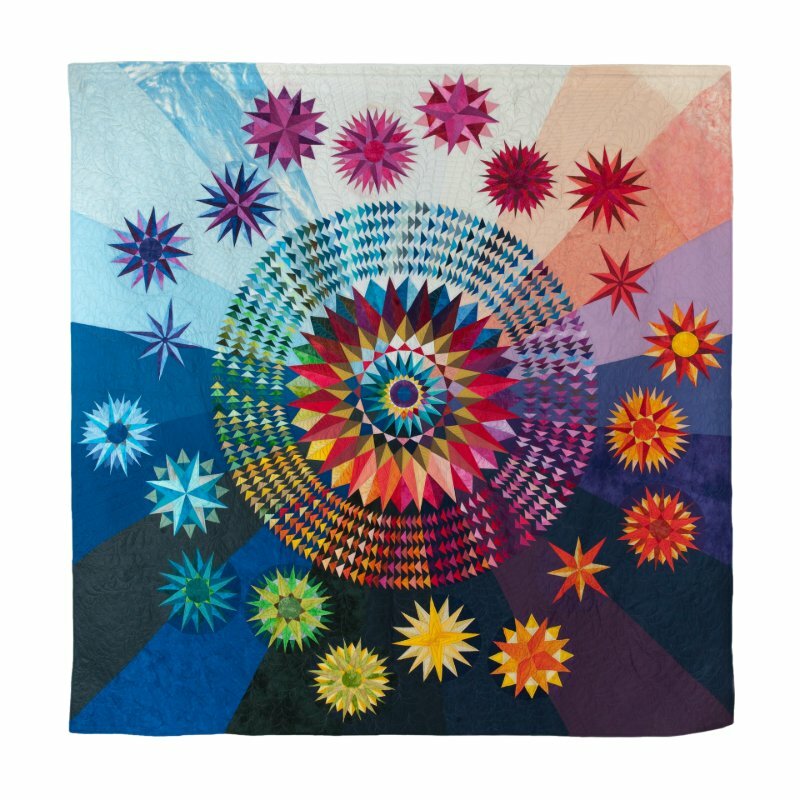 Showcasing the unique local history of all things needle and thread, this specialized collection includes pieces like their infamous, signature quilt, the Mariner’s Compass, as well as rotating exhibits that speak to the importance and history of the fiber arts. To date, they have displayed over 8,000 quilts since their inception in 1988. They even offer fun and interesting classes and workshops that would be a great addition to your Cedarburg getaway! 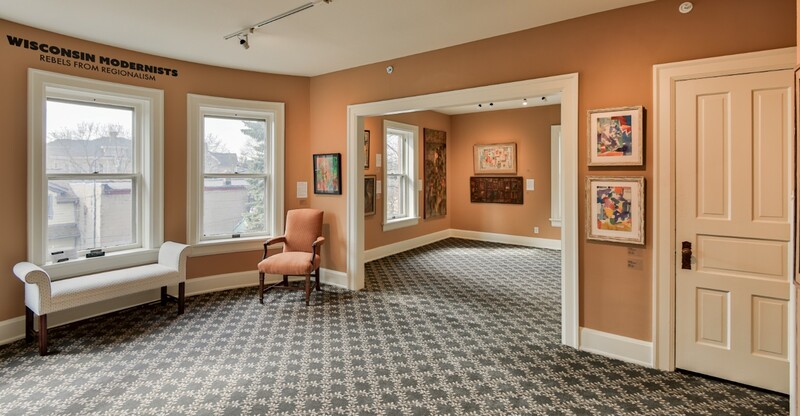 Located in a grand historic home just a six-minute walk up the road, the Cedarburg Art Museum provides beauty, not only with the art on the walls, but in the original oak woodwork and stained glass of the building. 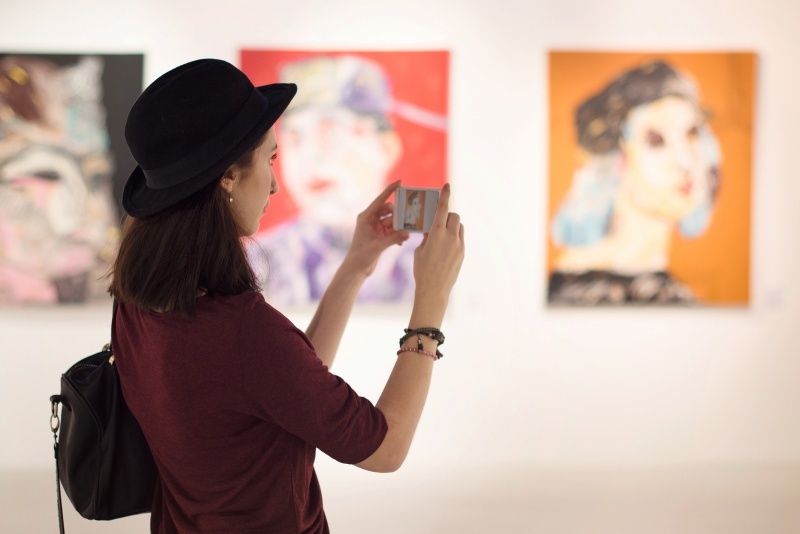 Offering a rotating roster with unique exhibits featured every week, it’s a great place to relax and discover new pieces to delight your eyes and your soul. Also, with interesting classes and special events, they always provide a good reason to visit our historic town. On your way to the Cedarburg Art Museum, it’s worth stopping at one of the oldest and most historically significant buildings in all of Cedarburg. Built in 1848, the Kuhefuss House Museum offers an intriguing look at life in the mid to late 19th century. If you’d like to see the inside of the house and learn more about the German-American heritage of the families that lived here, you can do so during their Saturday morning tour. 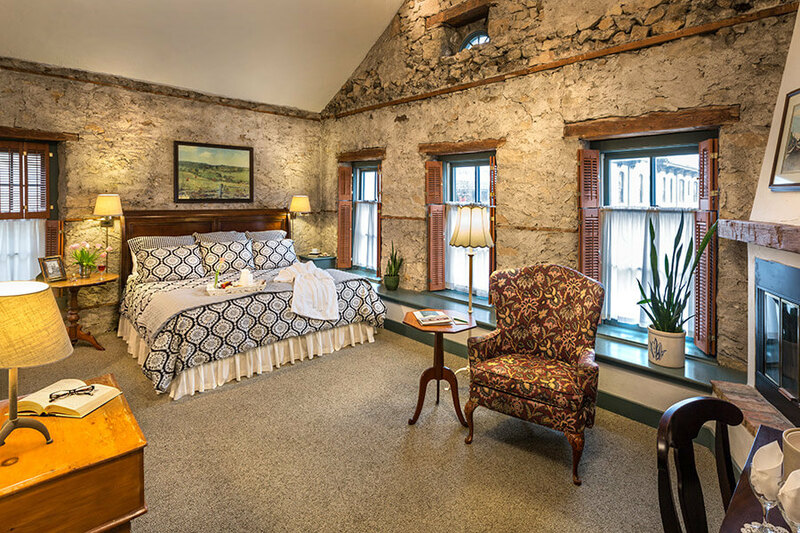 If you’re staying at our historic bed and breakfast, you can choose the Edward Blank Room, which is named after the home’s second owner. It remained in his family for generations before becoming a treasured addition to our town’s collection of museums in 1989. Rounding out our museum guide is the Jonathan Clark House, just a 5 minute drive from the Inn. Preserved for use by area residents and visitors this historic house is aptly named for its former resident, Jonathan Clark – a pillar of the local community in the mid-1800s. 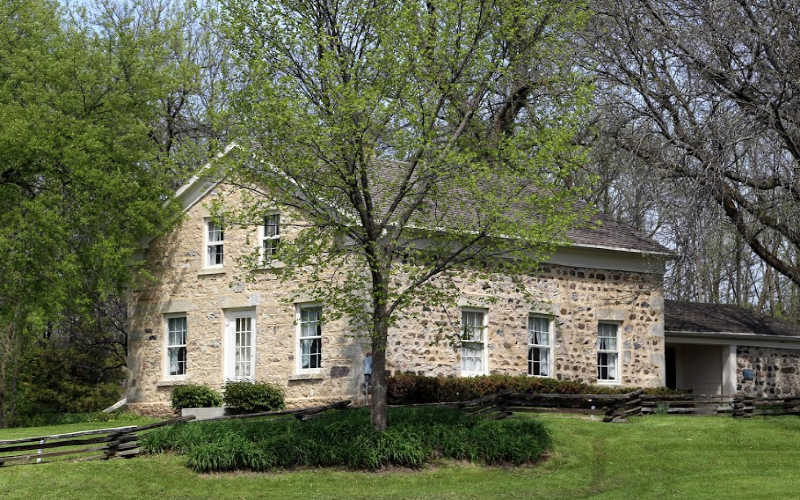 Built in 1848, this beautiful stone building was used not only as a family home, but also as a community meeting place for the area’s original settlers. Featuring talks with local history authors and a beautifully and historically-accurate reconstructed interior, the house provides an authentic and fascinating look at mid-19th-century life in rural Wisconsin. Staying at Washington House Inn is almost like staying in a living museum – but with all the modern amenities you’ve come to expect! 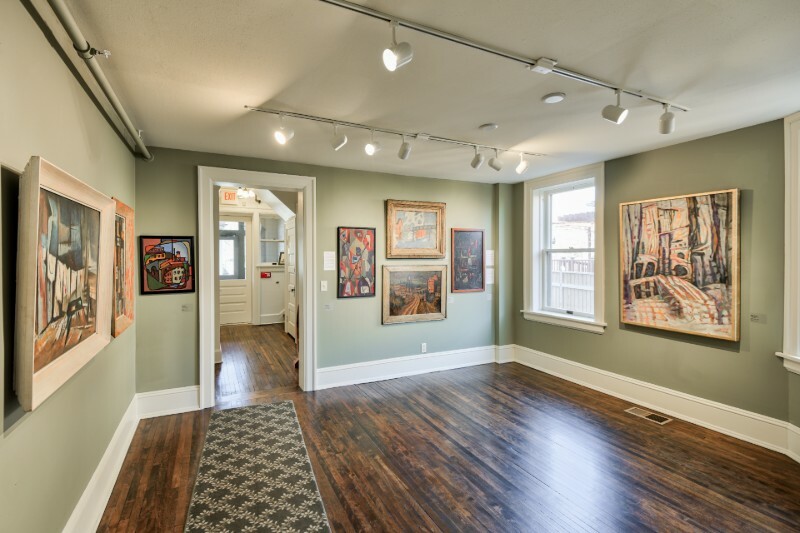 With a history dating back to 1846, the original architectural details and local art that adorns our walls gives you that true sense of place – adding to your Cedarburg experience. With our convenient location in the heart of our historic downtown, it’s a great starting point for your cultural journey through the area. We’ve even been designated as the “Most Beautiful Main Street in America” by Architectural Digest, come see why!